Have a question? Ask Gryph! Wishing all you #FutureGryphons a safe and happy holiday season! Why apply to U of G over the holidays? The holidays are basically here, which means our January 16th deadline to be considered in U of G’s first round of offers is just around the corner! We offer 80 majors and a full list of minors to allow you to customize your education. Many programs offer a common first year of courses, so you can explore your interests before settling on a major. We’ve broken down each of our programs on our website so be sure to check them out over the holidays! Our campus food has been voted #1! With 7 dinning halls, 13 coffee houses, and 2 campus bakeries, you will never go hungry here. 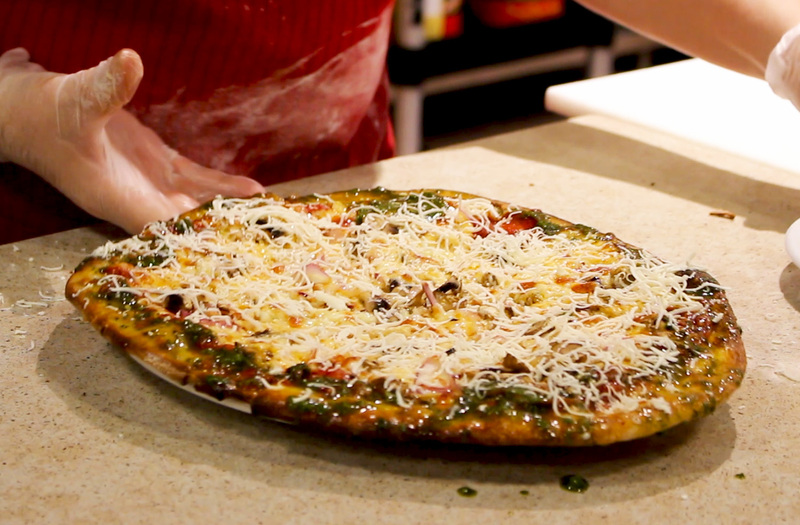 Watch our students sample foods from across campus on our Facebook page and if you come for a tour, we recommend staying for a bite to eat! U of G has received top marks for student experience for several years running. Everything we do here at Guelph helps make your time in university both fulfilling and unforgettable. Experience first-rate academics, thought-provoking professors and supportive staff, and a friendly community that is like no other. At Guelph you’re not a number, you’re a Gryphon. In case we hadn’t mentioned it, the gryphon is our mascot, which signifies strength and wisdom. 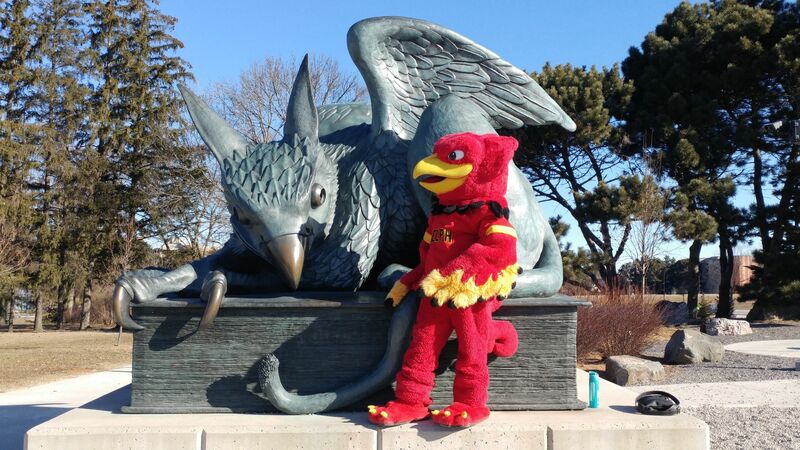 Once your application is submitted, you are on your way to becoming a #FutureGryphon and joining a community that embodies the gryphon spirit on the daily. We can’t think of anything better! …If you accept your offer and pay the $750 deposit fee by June 3rd! Guelph receives approximately 146 million in annual research funding – that’s more than any other university in Canada without a medical school! This means we offer plenty of support for research projects, field courses, and countless other research-based experiential learning opportunities. Over $23 million was awarded to 7,950 students in 2017/18. That’s a lot of dough folks! Check out the Student Financial Services webpage and get a head start on applying to our scholarships over the holidays. The deadline to apply to our top scholarships is January 25th. 8. Make U of G a MAJOR part of your 2019! Not only will applying to the U of G over the holidays cross something off your 2019 to-do list, it will give you more time to enjoy your last semester of high school, improve your grades, tune into our chats to have your questions answered, and to schedule a campus tour in the New Year! Happy Holidays #FutureGryphons, we hope to meet you in the New Year! Applied to Guelph and aren’t sure what comes next? This one’s for you Future Gryphons. Today we’re breaking down our admission rounds and describing what courses and grades we’re looking at in each. This is our *unofficial* first round of offers. In late December/early January we send out a very small number of offers to students we call “high fliers”. These students typically have an admission average well above our estimated cutoff range. *If you don’t receive an offer in this second round, BE SURE to complete a Student Profile Form by May 1, 2019. We encourage all applicants to complete the SPF. There you have it friends – now you have an idea of when you can expect to see an offer from the U of G. In the meantime, be sure to follow us on social media to discover more about our programs, student supports and campus life. If you are interested in joining the Agriculture industry and tackling the challenge of feeding the world’s growing population, you’ve come to the right place. Today we’re breaking down our Bachelor of Science in Agriculture program. Honours Agriculture: Combine agricultural sciences with agri-food business courses and tailor your degree to your interests. Animal Science: Focus on animal nutrition, welfare, genetics and biotechnology. Crop, Horticulture and Turfgrass Sciences: Learn about breeding improved crop varieties and the production of field crops for food, fuel and/or biomaterials. There are currently four jobs for every graduate of U of G’s Ontario Agricultural College. Yes, you read that right – there are more jobs than people qualified to fill them! A recent report found that 44% of food employers and 56% of agriculture employers project an increase in the average number of expected new hires over the next 5 years. Graduates from the Bachelor of Science in Agriculture program will be qualified for jobs in various fields including livestock nutrition, research, agricultural consulting, agricultural journalism and beyond. You’ve heard the stat: By 2050 there will be nine billion people in the world to feed. In preparation for those additional mouths to feed, U of G is focused on improving the food system. In the Bachelor of Science in Agriculture program, you will develop solutions for feeding the world using science, ingenuity and a combined passion for plants, animals and the land. The Ontario Agricultural College (OAC) is the University of Guelph’s founding college. It is also Canada’s largest and most renowned Agricultural College and is recognized internationally. As global leaders in education and research, there is no better choice for agricultural studies than the U of G.
Benefit from conducting meaningful research in academic, industry or community settings through our Applied Research courses. Prepare for professional work through first-hand investigation and analysis in Field Courses and Professional Practice courses designed just for you. No matter which opportunities you take advantage of, you will be supported and evaluated by faculty and professionals who will inspire you to reach your full potential. Join one of the largest industries in Canada and take on the agri-food revolution. Apply to our Bachelor of Science in Agriculture program today. Visit our website for more information on the program and our Ontario Agricultural College. So you want to be a vet? Lucky for you, today we are serving up 10 key facts about the Doctor of Veterinary Medicine (DVM) program here at Guelph. You must complete at least two years of undergraduate study before applying to DVM. Students typically apply in their 3rd year of their undergraduate degree. You may choose to complete your full degree or even go on to do a Master’s degree before applying, but this is not required. Fact #2: You can complete your undergrad at ANY accredited university! Before applying to DVM, you can study at any accredited university as long as you complete the 8 prerequisite courses and meet the additional admission requirements. Work to complete the requirements and your application will be of equal value to anyone else, at any other school, in any other program. If you DO decide to attend the U of G for your undergrad, you’ll have the chance to join the Future Vets Club! They host info sessions, help students find volunteer placements and offer support and guidance to undergraduate students intending to apply to vet school! It’s all about those prerequisites and admission requirements! Choose a program and major that allow you to take all the prerequisite courses and you’ll be just fine. We also encourage you to take a major that you’re sincerely interested in, just in case your plans change in the future. There is no specific number of hours of animal/clinical experience required to be considered for admission. Ensure your animal experience gives you solid exposure to the veterinary field, that you develop strong connections and that you feel confident working in the field. Quality experience = working with different species, under a vet supervisor, in a lab or government setting. Pet ownership does not count for experience – we know, we love our pets, too. Your experience will help you nail that interview, which determines 35% of your ranking, and your academic performance will determine the other 65%! Check out the Future Students section of the Ontario Veterinary College website for a better breakdown of the admission process. Bonus Fact: The MCAT is no longer required for applicants. You’re welcome. Fact #7: The Ontario Veterinary College ranks #1 in Canada and 6th in the world for Veterinary Science! When you join the OVC, you are joining a world leading college in veterinary healthcare, learning and research. Our DVM program is also accredited by the Canadian and American Veterinary Medical Associations. In your 3rd year of DVM, YOU get to decide which “stream” you want to pursue. Want to work with Small Animals? You can do that! Interested in Rural Community Practice? We’ve got you. Super into Food Animals? You’re in the right program! Equine? Yup! Exotics? You betcha! In 4th year you’ll complete clinical rotations, so you can schedule rotations based on your interests. Fact #10: Competitive? Yes. Impossible? NO! In total, 120 students are admitted into DVM each year. Study hard, get those prerequisites, and have some fun while getting animal experience! There you have it friends, the facts about DVM at U of G! For more information on the program and applying, visit the Ontario Veterinary College’s website! Are you interested in studying science, technology and business management, all while learning how you can improve our world’s resources? Look no further than our Bachelor of Bio-Resource Management (BBRM) program! BBRM is broken into three distinct majors: Environmental Management, Equine Management and Food Industry Management. Each major can be customized to suit your interests and goals through various science and business electives, field trips, research positions and summer jobs. Let’s break down each major so you can find your niche! This major is best for students who want to play a role in protecting our environment and natural resources. It combines applied environmental science and technology with business training focused on leadership, remediation and regulation. First year courses introduce topics like biodiversity, Canadian business management, financial accounting, environmental economics, environmental law and policy and more! U of G Environmental Management graduates have gone on to become environmental consultants, environment protection officers and environmental policy analysists! This one is for all of you horse lovers! In this major, students will learn about the biology, physiology and behaviour of horses while also covering horse handling and routine care. The business element of this major provides a hands-on learning approach to becoming a leader in equine-associated industries and businesses. First year courses explore the biology of plants and animals in managed ecosystems, financial accounting, principles of animal care and welfare, microeconomics and much more. After graduation you’ll be well-prepared for a career in breeding and foaling, equine event management, equine nutrition consulting or equine marketing, sales and promotion. This new major was created in response to the growing food science and manufacturing industry in Canada. Students will develop a multidisciplinary skill set and gain a solid background in food science, economics and business. In your first year you will take courses on biological concepts of health, molecular and cellular biology, business mathematics, chemistry and financial accounting. Prepare for a future career in research and food product development, food production, operations management, food safety management, logistics and more. Study in the co-op stream and gain even more hands-on experience! Join the Ontario Agricultural College and learn how you can lead the charge in improving our world’s resources with a Bachelor of Bio-Resource Management. Visit the BBRM program page to learn more about our majors, first year courses, where our grads have worked and how to apply! The Ontario Agricultural College website is also a great resource for discovering opportunities within the program. Our gryphons have started finals and the end of the semester is finally in sight! Today we’re letting you in on what we do to give our students (AKA YOU this time next year) a study break during exam time. During exams each semester our Library Team develops a list of activities to help students take a study break, refresh their minds and stay motivated. We call these activities “Stress Busters” and they are FREE and open to all students. What would help you recharge during a stressful time? How about making your own study care package? Or enjoying “Coffee with a Cop”? Would a colouring contest help you relax? Or maybe just a snack break with free food? We offer activities like these every day during the exam period, so students have a little something to look forward to in an otherwise study-filled time. Did we mention the “Take a Paws” event brings therapy dogs into the library for students to cuddle? There’s just something about puppy cuddles that really calms us down. As you can see, busting students’ stress levels is just one of the many services we offer here at U of G! Want to learn more about our Exam Stress Busters? Check out the full schedule! We take a unique approach to business (or as we call our program – Commerce) by emphasizing collaboration and sustainable business practices to transform students into socially responsible leaders of Canadian and global economies. Today we’re breaking down our majors and sharing what sets our Commerce program apart from others! Accounting – Complete the requirements to become a CPA and complement your accounting focus with a secondary area of discipline. Food and Agricultural Business – Prepare for a career in one of Canada’s largest industries while exploring accounting, economics, finance, marketing, production, organizational behaviour, policy planning and implementation. Hospitality and Tourism Management – Choose an area of emphasis in Hotel and Lodging, Restaurant and Foodservice or Tourism management and prepare for a leadership role in this fast-paced industry. Management – Gain strategic leadership and management skills that will prepare you for work as an organizational leader in a wide range of industries and/or to get your CHRP designation after graduation. Management Economics and Finance – Specialize in Management or Finance and integrate the analysis of economics with the practical tools of accounting, business management and marketing. Marketing Management – Examine core business areas such as finance and human resources while exploring topics like consumer psychology, market research and pricing and product development. Public Management – Combine politics, law and business while developing transferable business skills in law, human resources, marketing, accounting and finance. Real Estate and Housing – Develop analytical, conceptual and management skills relevant to the industry by examining relevant real estate studies. Our students work together to develop new business ventures and participate in national and international business competitions – many of which they have won! Our College of Business and Economics building features many group work spaces including “break out” rooms for studying and presentations and a spot to grab coffee or a snack before getting down to business with your team. In your first year you’ll learn the essential skills related to business management, giving you a solid foundation for the years ahead. You can apply to our undeclared major from high school and take advantage of electives in first semester to explore your interests before selecting a major in second semester. The Centre for Business and Student Enterprise (CBaSE) is where Commerce students can apply business knowledge and gain work experience while earning credit! Through CBaSE you can apply for start-up funding, consult on local business projects and even receive financial support to attend industry events. Co-op is now offered for all our Commerce majors. Gain work experience, learn transferrable skills and build your professional network, all while attending university. Students can complete their co-op terms anywhere in Ontario, Canada or even internationally! Our Bachelor of Commerce program allows you to put your skills to work through applied business projects, product development courses, specialty courses, internships, externships and co-operative education. Visit our Experiential Learning website for more details. As a Bachelor of Commerce student at Guelph you are joining one of Canada’s top colleges for sustainable business practice. To learn more about how we’re improving how the world does business visit the College of Business and Economics website. Today we’re coming at you with one MAJOR tip: Fill out the Student Profile Form (SPF). Our deadline for SPF submission is May 1, 2019, but now is a great time to check it out and start making notes on activities/experiences to include. Keep in mind, you can only submit the SPF once so make it count. Check out our SPF page for more details! It’s always good to have a back-up plan, which is why we’ve built one into our most popular programs. For example, if you are inadmissible to the Bio-Medical Science and/or the Human Kinetics majors, we’ll automatically consider you for Biological Science. Same goes for Criminal Justice and Public Policy (we’ll automatically consider you for General Arts). Interested in a major that has co-op, but not sure if you should apply? Go for it! Even if you don’t meet the cut-off for the co-op program, we’ll still consider you for the non-co-op stream. You’re welcome. Check out our Alternate Offers page for more details. Our estimated cut-offs are exactly that – estimates. Because we can’t predict the quantity and quality of our applications, we advise you to aim for the high end of our estimated cut-offs to be on the safe side. If you think your average may fall within or just below the range, we highly advise you to fill out the Student Profile Form (SPF) which you can find on our website. The SPF will only be looked at in the final round of offers in mid-May, so until then, keep working! While you can apply to the co-op program during your first year of study, it’s definitely much easier and less stressful to apply straight from high school. And remember, even if you don’t make the Co-op cut-off, you’ll be considered for the non-co-op stream! Wondering which grades we use to calculate your admission average? Our Admission Plan takes the guesswork out of that for you. Head to the Admissions website to review our offer rounds. Applying to multiple majors within the same degree program will NOT increase your chances of getting accepted to the U of G. If your admission average meets the requirements, you will only be admitted to your first choice of program. Therefore, it’s important that if you apply to multiple programs at the U of G, you rank them in order of preference. For more application tips and tricks, be sure to follow us on Snapchat and Instagram and watch our stories on the daily. Your next opportunity to chat with us is on Tuesday, November 27th so visit our website for instructions on how to access the chat and get your questions answered. If you require a student record or information on program requirements in an alternate format, please contact ups@uoguelph.ca.